For more translation of Japanese sewing terms you may like to look to Jennifer's Moving Hands blog or to Korallin's posts on the blog Label Free. Construction methods for garments are fairly universal, so I also find my favourite English patterns give the helpful instruction needed to whip up those favourite Japanese designs with more confidence. 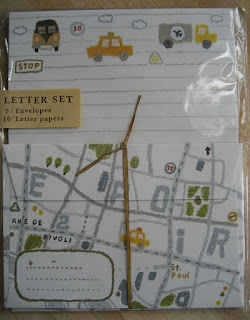 Even beyond craft blogging circles I heard many mentions of the famous Ito-ya stationery store in Ginza. It was high on my list of places to visit in Tokyo. Who could resist a stationery store that takes up 3 buildings over several floors? 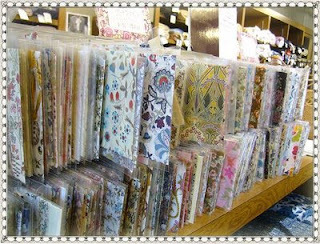 The store was wonderful and I spent more than an hour there filling my shopping basket with an assortment of cards, sticky notes, mini notepads. All of it is almost too good to use. 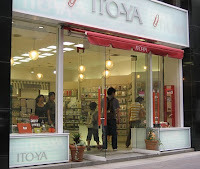 This is a photo of the much smaller store in Marunouchi (just near the Peninsula Hotel which is an easy landmark to spot). If you find yourself in Ginza though, just look for the giant red paperclip. It's hard to miss and worth seeking out. 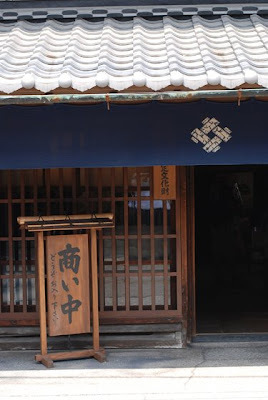 this last weekend h-kun and i visited arimatsu. a town near nagoya. where shibori originated. the traditional technique used to tie-dye fabric. started 400 years ago and is still carried on today. the fabric is used for kimono. yukata. 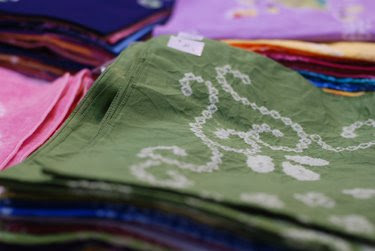 and many modern day items such as cloths, placemats, scarves, etc. and there are over 100 patterns. to get to arimatsu take the meitetsu line from nagoya station to arimatsu. it takes about 30 minutes. you can pick up a map of the area at most of the local shops. 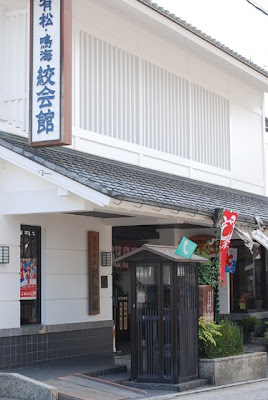 near the station is a street that is lined with shibori shops as well as the above building. 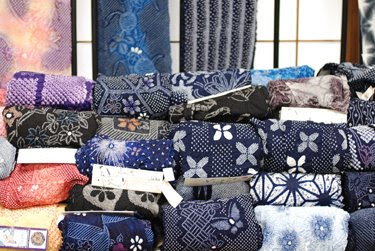 which has an english video explaining the history of shibori and various techniques. there are also a couple of women demonstrating the hand tying there. and if you speak a little japanese then you will be entertained as well. the craft is carried out mostly by older women. who are full of patience. it's simply amazing. amazing. 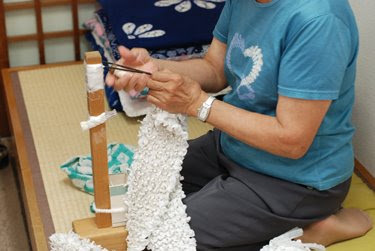 it will take them 4 to 6 months to finish a piece of cloth for one kimono. patience. and consistency. the whole process is a wonderful one. full of tradition. passed down from generation to generation. so. a customer of mine. used to live in japan. and sent me this lovely link. (you may need adobe acrobat to open it.) that will help all of you with translating the sewing terms in your japanese sewing books. amazing. simply amazing. there are some great explanations. and a laldies' sizing chart, too. please go and look at it. it will save you time. it will also save you banging your head against the table one too many times. really. thanks, sara. really. 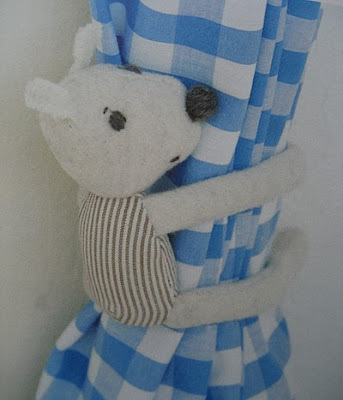 if you have a japanese craft book. you will want to click on the link. if you want help with the basic sounds of the japanese alphabets. you will want to click on the link. if you want help. you will want to click on the link. it will help you. i promise. 56 pages. 34 projects. lots of vegetables. and fruit. there is also a sandwich with all the toppings. pancakes. a japanese bento box. cake. and an ice cream cone with lots of flavours. they are a good size, too. up to 20cm. perfect for your little ones. or for your window sill. perfect. and the instructions. are very clear. there are a few pages of photo instructions. and a full page of step-by-step clearly labeled diagrams for each item piece of food. i need to make some. soon. very soon. and with this book i will now have no problem. at all. whoohoo. ISBN 978-4-529-04604-6 or you can find it here. so. we asked for your ideas. and you gave them to us. amazing. all one hundred and forty of you. overwhelming. in a good way. thank you for embracing us. thank you for inspiring us. thank you. one of the major themes. was books. you want book reviews. book reviews. and more book reviews. that will happen. slowly. in weeks. and months. to come. along with some of your other ideas. now. the lucky gals. who will received the japanese goodness. if you read my blog. you will know that h-kun is the lucky number chooser. so we didn't break tradition here. he chose three lucky numbers. yes, three. 45. 77. 140. 45. tina. you stamps and tape. 77. indy boo. you get the fabric. 140. two little buttons. you get a surprise package of goodness. please contact us with your name and address. as soon as you can. also. a huge congratulations to one of the japan craft journal contributors. corrie. and her husband. on the arrival of their adorable twins. whoohoo. 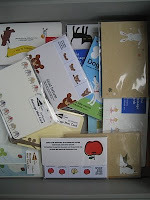 Ayumills of Pink penguin is currently travelling in Japan. Somehow in between visiting family, meeting up with bloggers and buying fabric. She's been finding the time to post. Click here to read all about it and while your there check out her great tutorials. It's so exciting for us to see all those lovely comments coming in. And it comes as no surprise that so many of you want to see more of the craft books. 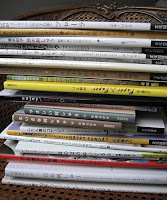 I'm sure many of you know of the site: Crafting Japanese, which is dedicated to collecting images and reviews of as many craft books as possible. It's well sorted into crafting categories for easy searching, plus you can use the site's search engine to pinpoint a particular ISBN number. For those of you who love the craft books but weren't aware of this site, I have a suspicion I might have just made your day!